Many hundreds of thousands of people in the United Kingdom alone suffer from migraine headaches and a considerable number of these people also suffer from the condition known as Fibromyalgia. As many of the sufferers of Fibromyalgia suffer from a great number of symptoms it is difficult sometimes to categorise which symptoms go with which and so each case of Fibromyalgia that a doctor diagnoses may have a different set of symptoms. Some of these sufferers include migraines among their symptoms. 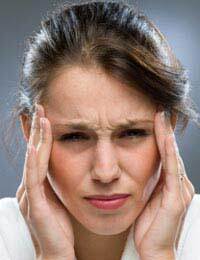 A migraine headache has to be one of the worst forms of headache that any individual can suffer from. It is difficult to say what causes migraines but scientists believe they are associated with the release of chemicals dopamine and serotonin and also blood vessels in the body expanding to larger than normal proportions. For some sufferers of migraine they may have an attack once every few months or for more chronic sufferers they may have an attack once or twice a week, depending on the severity of the condition and the nature of such things as diet. Indeed in some sufferers the pain may be so severe that after the headache has died away they are left with a less painful headache and loss of appetite and disorientation. Foods such as cheese, chocolate, nuts (or products containing nuts), alcohol and Monosodium Glutamate (MSG) can also be triggers for migraines but they are commonly brought about by high levels of emotional and physical stress, something very common indeed with sufferers of Fibromyalgia. Most migraine sufferers are able to treat the problem themselves at home using over the counter medicines whilst others favour resting in a darkened room for a time until the headaches subside. Applying a cold towel or flannel to the temples is another way in which migraines can be treated as well as using anti-inflammatory medications. Most anti-inflammatory medicines however will be prescribed by your doctor and if you suffer from migraines with any great frequency than you should strongly consider consulting with them. Your doctor may suggest that you try a course of such medicines for a short time; the downside to using these medications however is that they become less effective with continuous use and in some cases – especially those of misuse – these medications can causes problems with liver function and stomach ulcers. Your doctor will, of course, require an up to date medical history before prescribing any medication and will also require a detailed consultation with you. If you suffer from migraines and have not yet consulted your doctor then you should do so if the migraines have become more frequent. If possible keep a log of the attacks you have had and also make notes as to how long they have lasted and the symptoms associated with them. This will help your doctor come to a more accurate diagnosis and also give them an idea as to how best to treat the problem.